The front-line workers face directly to the dangers may exist in their work, it is the grassroots organizations that should be enforced on safety management in order to prevent accidents. Experiences and Lessons both show that a suitable risk management mode is the prerequisite to prevent accidents. 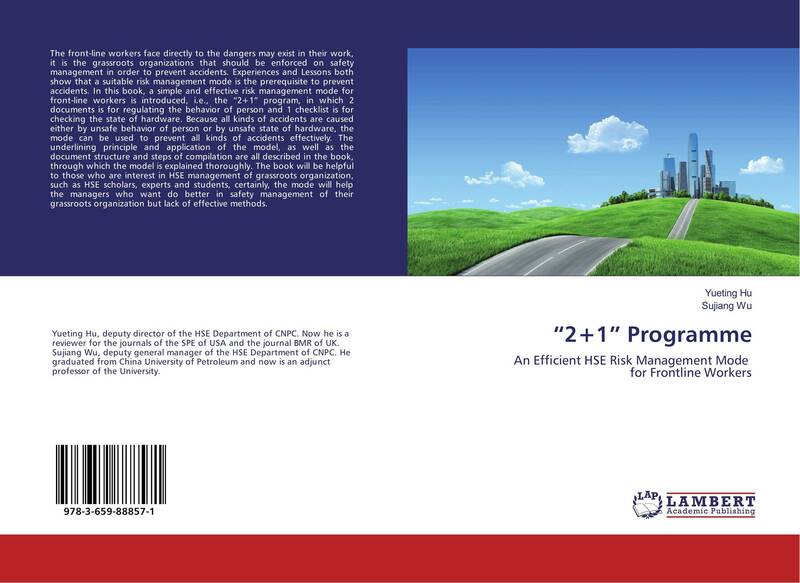 In this book, a simple and effective risk management mode for front-line workers is introduced, i.e., the “2+1” program, in which 2 documents is for regulating the behavior of person and 1 checklist is for checking the state of hardware. Because all kinds of accidents are caused either by unsafe behavior of person or by unsafe state of hardware, the mode can be used to prevent all kinds of accidents effectively. The underlining principle and application of the model, as well as the document structure and steps of compilation are all described in the book, through which the model is explained thoroughly. The book will be helpful to those who are interest in HSE management of grassroots organization, such as HSE scholars, experts and students, certainly, the mode will help the managers who want do better in safety management of their grassroots organization but lack of effective methods.